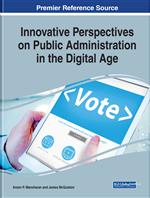 Civic engagement, encouraged through various forms of social media, is expanding rapidly in recent literature. Given the nature of foundations in the public and nonprofit realms as funders and policy-leaders, calling stakeholders to action by foundations remains lacking in exploration. What is the role of private, community, and corporate foundations in encouraging participation beyond their grantees? Broadly, civic engagement refers to citizen participation in their communities with the purpose of improving the community (Adler and Goggin, 2005; Carboni, McNeely, & Maxwell, 2015). Specifically, civic engagement in social media is a process that “involves moving an individual away from disinterest, distraction, ignorance, and apathy towards education, understanding, motivation, and action” (Obar, Zube, & Lampe, 2012). Although civic engagement is often applied to political participation, the term also relates to individual and collective action through civil society. Civil society includes the institutions and organizations with which individuals voluntarily associate to advance common interests (Anheier 2005; Skocpol & Fiorina 1999). Civil society is distinct from government and business and includes nonprofit organizations, which are rarely studied in this context. Wallace (2012), for example notes that information and communication technologies, rather than contributing to the breakdown of society, encourage “new forms of connectedness and community and a form of ‘knowledge commons’ that creates a public space for deliberative democracy” (p. 112). In the United States, nonprofit foundations are an important vehicle for civic engagement as they provide organizational mechanisms for individuals to improve communities. Nonprofit foundations typically provide grant funding to nonprofits, individuals and communities for scientific, educational, cultural, religious, or other charitable purposes. Foundations act as intermediaries, funding nonprofits in tandem or independently of government (Riely & Kraft, 2010). Although most are not in formal relationships with government, foundations often serve an agenda-setting role in targeting social problems and proposing solutions for ameliorating community and larger social ills (Duan-Barnett, Wangelin, & Lamm, 2012). Increasingly, foundations use social media to engage with citizens and other stakeholders. While some literature exists on social media usage among nonprofits generally, and foundations specifically, limited evidence exists regarding online stakeholder engagement with social media. Online stakeholders are those who converse via social media with organizations. They may or may not be active in additional organizational activities. Eikenberry (2012) suggests that collaborative social networking is often missed in practical terms, as organizations typically focus on one-way communication. Additionally, many organizations lack a cohesive plan for adoption of social media. Offering an example of local health departments, Renmin (2016) finds that age and backgrounds of top executives, as well as organizational factors, such as size contribute to the adoption of social media usage. Social media can be viewed as a tool for relationship management, facilitating civic engagement with online stakeholders. Are foundations simply posting information on social media sites such as Facebook, or is there a conversation taking place between the organization and its stakeholders? Engagement via social media sites such as Facebook is defined differently from use in this context. Simply having a social media site does not mean users or stakeholders are actively engaged with the organization that manages the social media platform. Are foundations’ stakeholders responding to foundation Facebook posts? Are they civically engaged in an online conversation about their communities?